It may be Spring in Australia, however, there's one thing about the cooler seasons that I love - the food. Whilst I anxiously await the arrival of Spring each year, food is the one redeemer of Autumn and Winter. This recipe may not be very seasonal, however, it's one I can't believe I haven't shared sooner! In Autumn (Fall) and Winter, I make this with homemade pumpkin puree, however, in the other seasons I turn to my hoarded cans of pumpkin to ensure we don't have to miss out on the deliciousness. Yep, hoarded because canned pumpkin isn't a thing in Australia - and that's kind of a problem when you have an American husband who HAS to have pumpkin pie for both Thanksgiving and Christmas each year and pumpkins at that time are out of season and bleh (and don't even get me started on the price). Whilst you can buy canned pumpkin some specialty stores, the list of where to buy canned pumpkin in Australia is SERIOUSLY small - and in Sydney it's also seriously expensive. But luckily for you (because, recipes) - and for us (because, pumpkin) - we have friends all over the world who are more than happy to pick up a couple of cans of pumpkin for us when they travel as they know it's the perfect way to put a smile on their foodie friend's face. 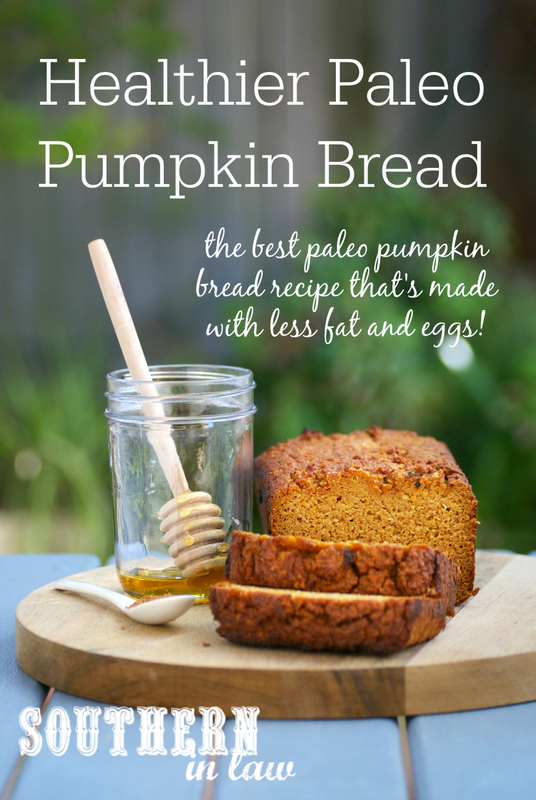 Made with the last can of pumpkin in our pantry (clearly it's time for a trip back to the states - right? 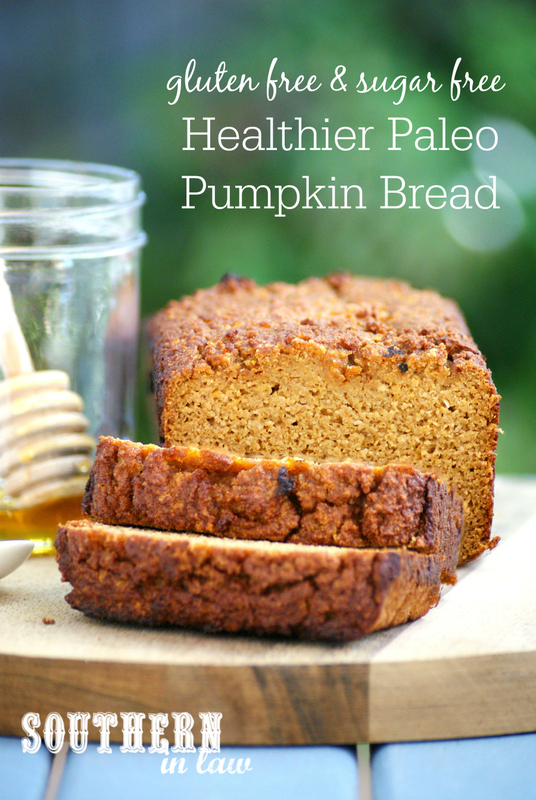 ), this Paleo Pumpkin Bread Recipe is BEYONDDDDDDDD delicious. It's moist and just the right density so it doesn't crumble or break (think; banana bread texture!) and it's delicately spiced with cinnamon to make you fall in love with fall all over again. Grease and line a small loaf tin (we used this deep loaf tin) and set aside. In a medium mixing bowl, combine your pumpkin puree with your honey, vanilla, melted butter/coconut oil, applesauce and eggs. 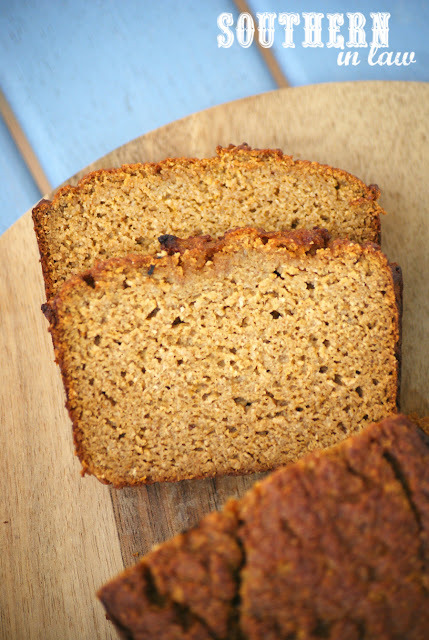 Pour your pumpkin bread mixture into your prepared loaf tin and bake for 40 minutes to an hour (keep an eye on it - cooking times will depend on your pan size) or until your loaf is cooked through and a skewer inserted into the middle removes clean. If your pumpkin bread is browning too quickly but isn't cooked in the middle, cover it with foil. We find this pumpkin bread keeps best in a sealed container in the refrigerator and it will keep for up to a week. You can also freeze the slices by wrapping the slices individually and storing them in a sealed zip lock bag in the freezer. But tell me, do you ever send your friends on foodie missions when they travel? 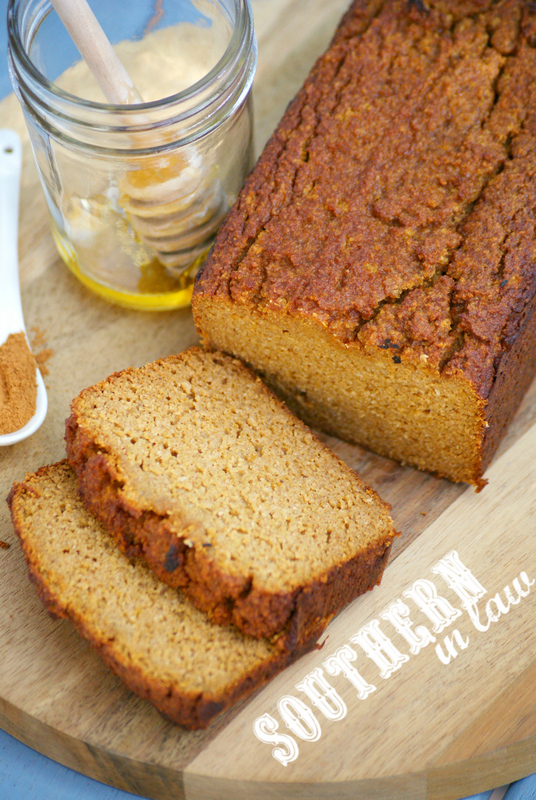 And what's your favourite kind of sweet bread recipe? Pumpkin? Banana? Zucchini? Something totally different?